Applicable in loading tiles automatically. 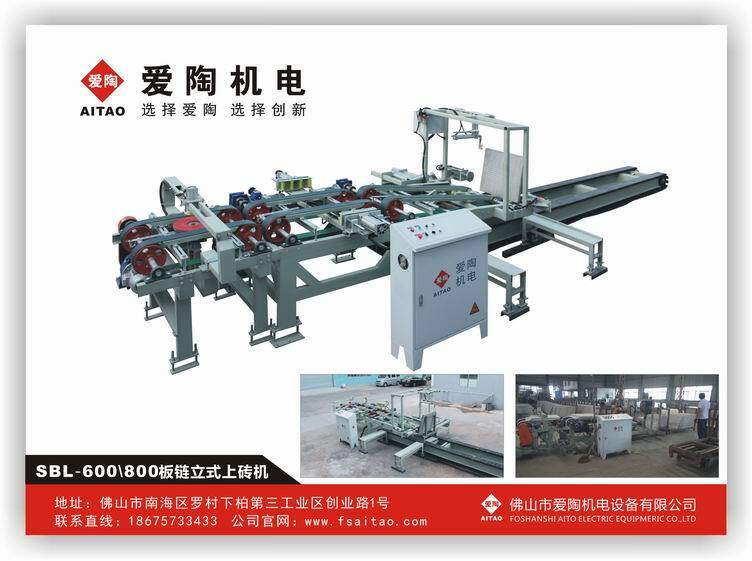 This Machine is applicable in loading 600mm x 600mm or 800mm x 800mm tiles from the tile holding frames into next processing procedure instead of placing the tiles manually, which can reduce human cost and improve output. It is suitable for the tiles on which friction of surface is allowed. The length of tile holder is 1m~1.6m.